Police finally released the names of two men killed in a fatal Columbia, SC automobile accident at the beginning of December. One of the victims was Chamberlain Branch, a man who served as complex supervisor of the South Carolina Governor’s mansion for three administrations. Former First Lady Jenny Sanford traveled to Columbia from her home in Sullivan’s Island to console Branch’s family. Branch is survived by his wife and three children. The accident that killed Branch was caused by another man, Shyborn Belton, who also died at the scene. According to officials, Belton was driving a stolen vehicle, and his license was suspended. Investigators also found crack cocaine, and a stolen pistol, in the vehicle. When Cayce police officers attempted to pull him over on Knox Abbott Drive, Belton sped away, reaching a top speed of 70 mph. Both Branch and Belton died in the crash. The Highway Patrol will continue to investigate the crash. A fund has been set up for Branch’s family. According to the National Highway Transportation Safety Administration, more than 5.5 million police-reported motor vehicle crashes occurred in the United States in 2009. Nearly one-half of all fatal crashes in 2009 occurred on roads with posted speed limits of 55 mph or more, as compared with 23 percent of injury crashes and 23 percent of property-damage-only crashes. Even minor automobile accidents can cause serious and lasting injuries. Studies have shown that you can suffer neck injuries from automobile accidents that occurred as slow as 5 miles per hour (mph). While people can be injured at this low speed, other studies have shown that most cars will not necessarily be damaged unless the collision occurs at speeds of 10 mph or higher. 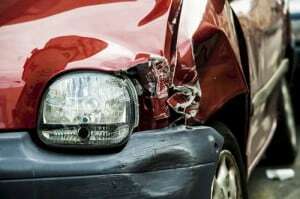 Our automobile accident lawyers are prepared to fight for compensation in the courtroom and will defend your right to compensation for your past and future medical bills, lost wages and future earnings, your pain and suffering, and, in the event of a fatal car accident, even wrongful death. If you or a loved one have been injured as the result of an automobile accident, or a loved one has been killed in a car crash, do not hesitate to contact us. We offer free, confidential consultations to discuss the facts of your case. 803.252.4800.